How it all began, what particularly interesting events shaped the development of the League and the past results are just some of the exciting parts you'll be able to read in the upcoming text. SEHA League was formed in 2011, in a time when a lot of teams from the region supported the initiative to make a high-quality handball competition with the best teams in the area. The idea to 'erase' the national borders came to life after six national federations opened its doors to welcome the SEHA League. The League grows more and more each year, new strides are made every season. SEHA - Gazprom League is gaining popularity not just in countries that it is played in, but in the whole Europe and beyond. Thus, the League was described as a handball 'lighthouse' for other leagues, by the EHF President Michael Wiederer. The first season consisted of 12 teams, including teams from Croatia, Bosnia and Herzegovina, Serbia, Montenegro, Macedonia, and Slovakia. 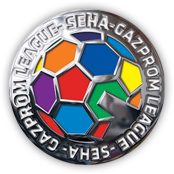 Many teams are still competing within the SEHA - Gazprom League; those clubs are: PPD Zagreb, Nexe, Metalurg, Skopje and Tatran Presov. After an exciting inaugural season of handball, Vardar finished as the champions of the 1st edition of SEHA League, beating Metalurg in the final. The Final 4 tournament was played in Zagreb, but the regular season champions and Champions League quarter-finalists CO Zagreb were unable to capitalize on the home court advantage. Still, they came third after winning the third place match against the Slovakian side Tatran Presov. Zagreb's very own Zlatko Horvat was named the MVP of the Final 4 tournament. The League looked a bit different entering its 2nd season, Montenegrin side Sutjeska and two Serbian clubs - Crvena Zvezda and Metaloplastika left the SEHA League, but Meshkov Brest joined in from Belarus. The League then had 10 teams featuring in it; Croatia Osiguranje Zagreb, Nexe Nasice, Borac Banja Luka, Sloga Doboj, Izvidjac, Tatran Presov, Lovcen, Vardar, Metalurg and Meshkov Brest. The 2nd season had a spectacular ending: Zagreb came out on top after beating Vardar in the final of the Skopje Final 4 tournament. The match went to overtime, but Vardar, just like Zagreb the season before, could not win the title in front of their own fans. The season came to a disappointing end for the regular season champions Meshkov Brest who finished 4th, after losing the 3rd place match against the Champions League quarter-finalists Metalurg. As SEHA League showed its potential to the handball world, a new partner had recognized the quality of the project and joined us before the 3rd season. Nowadays, that partner is still loyal to us, of course; its name is Gazprom! As we came to expect, a new season holds new changes. This time we lost two Bosnian teams: Sloga Doboj and Izvidjac, but we welcomed back the Serbian teams: this time it was Vojvodina from Novi Sad and Partizan Belgrade who entered the League! The 3rd season brought a lot of excitement, especially during the Final 4 tournament in Novi Sad. The thrilling semi-final match featuring Meshkov Brest and Tatran Presov went all the way to the 7m shootout after which the Belarusian team came out victorious. However, Champions League quarter-finalists Vardar led by the Final 4 MVP Timur Dibirov had the last laugh after beating Meshkov in the Final match to secure their 2nd SEHA League title. Once again, CO Zagreb came third defeating the regular season champions Tatran Prešov. We entered the 4th season with an addition of MKB - MVM Veszprem, later proving to be a move that would improve the quality of the SEHA League even more. That same season we also welcomed Radnicki from Kragujevac to the League, which meant losing the only team from Montenegro - Lovcen. 2015 Final tournament in Veszprem had been played in a different format. Six teams fought hard to reach the finals match, but first we had to find out who was going to play in the semi-finals. It turned out Meshkov Brest and PPD Zagreb were too good for Nexe and Tatran Presov, so those two teams unfortunately had to pack their bags and head home. Two semi-final encounters were: MKB MVM Veszprem - PPD Zagreb and Vardar - Meshkov Brest. Afterwards, Veszprem were crowned champions in front of their own fans, comfortably winning against Meshkov. Third place was again secured for PPD Zagreb. That season, the Hungarian team also played in the Champions League finals, but failed to win the title losing to Barcelona. The next season we were without Metalurg from Skopje and Partizan, but Serbian Spartak Vojput and Macedonian Maks Strumica were there to take their spots. There was still plenty of high-quality handball, especially knowing that three SEHA teams played in the quarter-finals of the Champions League. Zagreb's and Vardar's journeys ended then, but Veszprem again lost in the final match in one of the most spectacular matches in recent memory. The SEHA - Gazprom League Final 4 tournament held in Varazdin was equally as brilliant. Veszprem successfully defended the title won the previous season, after wins against Meshkov Brest in the semi-finals and Vardar in the Final match. PPD Zagreb finished third for the third consecutive season. It is important to notice that the Final 4 in Varazdin was presented an award as the best regional sports event in 2016 at the RSVP festival. The tournament was attended by more than 20,000 people and was definitely more than just a great handball experience. Season 6 of the SEHA - Gazprom League was also a great success. Even though the League endured heavy changes after Vojvodina, Spartak, Borac and MAKS Strumica all left the SEHA - Gazprom League, there were some amazing clubs eager to join us. That is why we greeted two Slovenian teams, Gorenje Velenje and Celje Pivovarna Lasko, to the League. Also, Metalurg and Izvidjac CO found their way back to the SEHA - Gazprom League. After some excellent handball action, we found out who the four teams heading to Brest for the Final 4 tournament are; Vardar, Veszprem, Meshkov Brest and PPD Zagreb all had a chance to become the champions of the SEHA - Gazprom League. Vardar proved to be far too much for PPD Zagreb in the semi-finals, but Veszprem and Meshkov Brest played the most thrilling match of the season. Veszprem won after penalty shootout, much to the delight of the visiting fans. Meshkov Brest managed to pick themselves up after a tough loss, securing the 3rd place in a match against PPD Zagreb. But, Vardar absolutely stole the show in Brest, beating Veszprem 26:21 meaning they have become the SEHA - Gazprom League champions for the record-breaking 3rd time. Season 16/17 was a dream come true for the Macedonian team. Apart from winning the SEHA - Gazprom League title, they also won the Champions League in the most spectacular way possible. A goal in the last few seconds of the match by Ivan Cupic against Paris Saint-Germain brought the Champions League title to Skopje. Like that was not enough, they also won the Macedonian Championship and the domestic Cup! As usual, some changes took place before the season. Two of the best Serbian teams joined the SEHA – Gazprom League; Vojvodina and the debutants Dinamo from Pancevo. The season was definitely marked by the three-time champions Vardar. They recorded record-breaking 17 wins out of 18 matches, and easily occupied the first place in regular season standings. After careful consideration, Skopje was picked to host the Final 4 tournament, for the second time. Four teams that proved to be the best after 18 rounds were: Vardar, PPD Zagreb, Celje PL and Meshkov Brest. The Slovenian champions were set to make their first appearance, and deservedly so! But still, all signs were pointing to Skopje- Metalurg's Halil Jaganjac's 100 goals meant that the 19-year old won the top scorer award, the youngest ever player to do so. Luka Cindric won the MVP award in both the regular season and at the Final 4, just went to show how strong Vardar were! Ultimately they beat PPD Zagreb in the final; it was 26:24. Celje PL came third, defeating the injury-riddled Meshkov Brest, with another youngster Domen Makuc playing a key role in the final 2 matches. Brilliantly organised tournament in Skopje was on a similar level as the EHFCL Final 4, proving once again that the SEHA – Gazprom League set up the bar very high one more time. SEHA - Gazprom League was a project carefully planned and executed in 2011. From that time, the League grew bigger and bigger, attracts more fans each year and is full of high quality handball teams. Apart from world-class handball that can be seen in every match, the League showcases terrific organizational skills, especially during Final 4 tournaments. Even though the clubs that participate change every year, SEHA - Gazprom League is successful in maintaining its stability and ability to showcase the best handball possible to its fans. TV broadcast quality is assured with a contract signed with a high-profile international media rights company based in London - MP & Silva. Overall, we believe that hard work, commitment and dedication by everyone involved in the SEHA - Gazprom League has put the League on the map, in not just the handball world, but in the world of sport in general.